Owning and operating a farm can be very expensive and time-consuming. You have so many things to keep track of such as your animals' feeding and care, as well as tending to your crops. Plus you have all the necessary repairs to your farm that have to be completed. When your to-do list is this big, the last thing you want to do is spend time comparing farm machinery. When you are looking for a quality company, keep in mind a few tips to save you time during your search. How long has the company been in business? If they have been around for a while, you could assume that they provide excellent products and services. Plus, companies that stay in business for a long time generally will have plenty of referrals from current customers. If you are new to farm equipment or machinery, ask other farm owners for recommendations around your area. For example, if you are looking for Charlotte tractor parts, ask your neighbors if they can refer a local machinery company. Does the company you are looking at have a diverse product base? Some people may like New Holland equipment and others might like Kubota. Find a dealer who has more than one brand to show you. Also, you may save time if you find a company that has both an agricultural division and a lawn and garden division. That way, you can find farm equipment for both instead of having to run all over town. What types of service does the company provide? Can you buy used or replacement parts for your equipment at the same place you buy the equipment? What is the turnaround on buying parts? Also, you may want to find a company that has more than just a few employees on staff. You may receive better customer service from a larger staff and they may have more knowledge to help you with your purchases. Also, look at the hours the company is open. Having regular hours plus being open on the weekend is helpful if you are busy running the farm during the week. 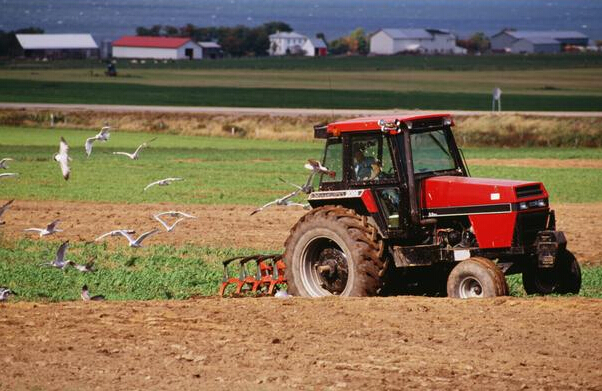 Also, if you have a piece of equipment that needs repaired; it would be helpful if your farm machinery company offered pickup of that equipment at your farm. This will save you time and the headaches of trying to move ungainly equipment yourself. Finding a company that will assist you in obtaining financing for your purchase will save you time. If you in the market for Charlotte riding lawn mowers, you may need financing for your purchase. If the company can help you find financing with a low-interest rate, that means more money in your pocket as well as the time you'll save trying to obtain your own financing. Also, see if the company offers trade-ins on your current equipment. You may be able to turn in your old stuff for money that you can put toward a new purchase.